Quite iconic for Google, which on Wednesday celebrates its 19th birthday in a numeric symmetry. 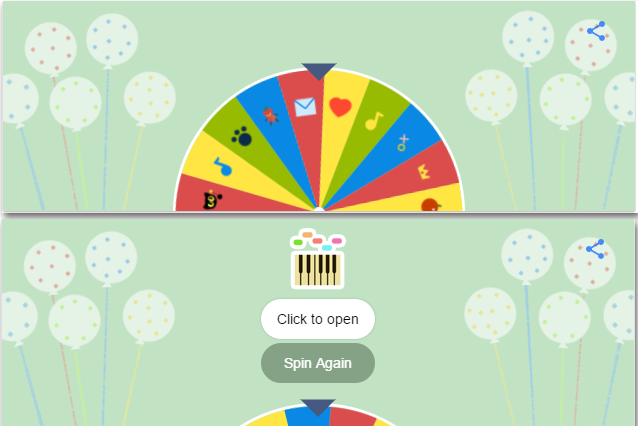 Google has culled together some of the search giant's most memorable interactive doodles from the past 19 years and presented them to you in a carnival prize wheel. - last year's Halloween doodle, which scared up an adorable black cat as she tries to save her school of magic from sinister spirits. If you are in a more creative mood, perhaps the wheel will stop at the selection for filmmaker and abstract animator Oskar Fischinger, which allows you to visually compose music by selecting dots on an 11x16 grid. If you don't find something that appeals to you, try out Google's new snake game, which is harder and more fun than it initially appears. Try it now, go to Google.com and spin the wheels.